Where Is SARKAR Teaser Releasing? Actor Vijay‘s upcoming movie Sarkar directed by A. R. Murugadoss and produced by Sun Pictures is set for a grand Diwali release, on 6th November. Thalapathy fans are super kicked that the film’s teaser is releasing Tomorrow (19th October) at 6 pm. There was a doubt whether it will be exclusively unveiled on Sun NXT an hour before the informed time like the first two songs were done. 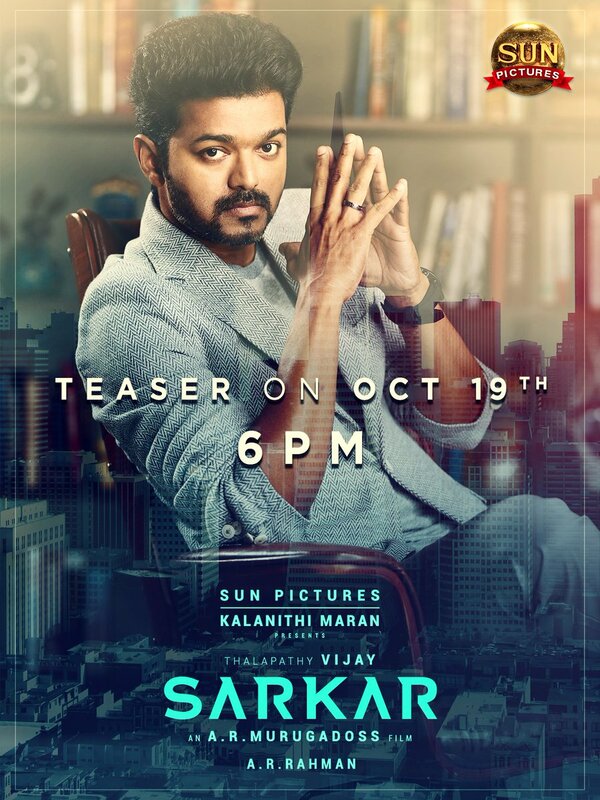 Now, the makers have confirmed on the same in their Twitter handle that Sarkar teaser will be released on YouTube Tomorrow at 6 pm.